Our regulation Italian Bocce balls with the white "jack" or "pallino" in the centre. For basic bocce rules click here. If you have never played Bocce before we encourage you to give it a shot. This sport was first played in ancient Egypt and has spread around the world. It is popular because people of all ages and fitness can take part. It can be as relaxed or as competitive as your group wants it to be. One court is wheelchair accessible. Take a look at the fun video above to get a sense of the game all with facial expressions. We have regulation caliber bocce ball sets to play with, and you’ll find the rules allow for some intriguing tactics. Think of curling, snooker, and bowling combined! Like all of our other outdoor programs, the courts are open for play by everyone. The courts can also be rented for an hourly fee by groups such as clubs, family reunions or weddings booked at the hall. Drop-in (2-hour session): $5.00 or 1 multi-programs coupon. 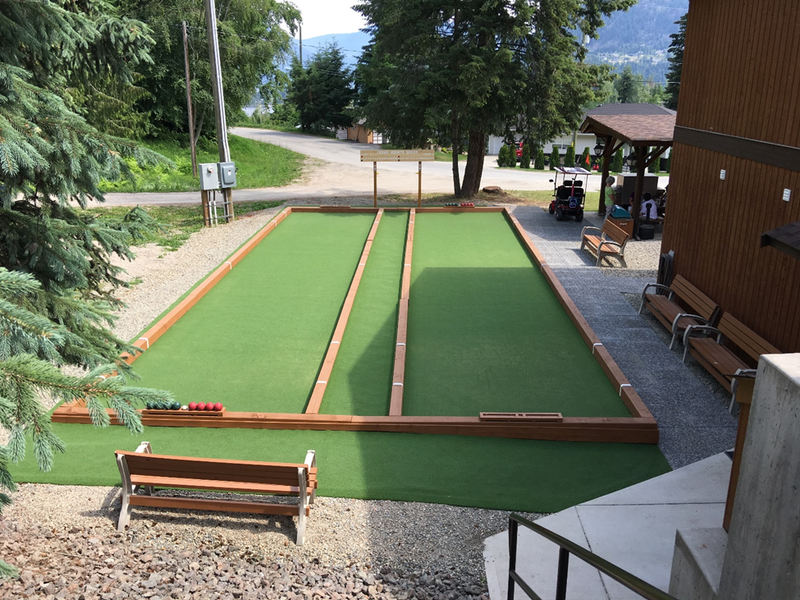 Bocce membership (unlimited play): $40.00 for adults (18+), $20.00 for youths (13+). Note you must be an Association member to purchase a Bocce membership. Spring (Thursday May 16) with Friday May 17 as back-up. Fall (Saturday Sept 7) with Sunday 8 Sep as back-up. For the 2019 Bocce Schedule CLICK HERE. April is just around the corner ( we hope).